Norfolk is an important county for food production, particularly wheat, barley and sugar beet. These crops are mainly farmed intensively, which is a cause for concern when managed ineffectively. Agrichemicals can percolate through the ground and contaminate groundwater reserves. In addition, pollutants (nutrients, pesticides, manure and sediment) are carried off farmland during various diffuse processes, where they eventually enter watercourses. These pollutants can degrade the quality of water and promote eutrophication; waterbodies can become over-enriched with nutrients, encouraging excessive algal growth. Furthermore, sediment loading can result in turbid waters and the smothering of spawning areas. Roads and urban infrastructure provide another source of pollutants e.g. water recycling centre discharges can contain ammonia and phosphate (although water is treated to legal standards, the levels of treatment are not always adequate to protect river health). The impacts of climate breakdown, coupled with an increasing population and growing demand for water, presents a challenge for the county. The aquatic environment is being increasingly threatened by the over-abstraction of water; too much water is removed from these environments for public supply, industry and irrigation, from a region that is already one of the driest in the UK. This can result in lower flows and reduced water levels, which, in turn, may limit ecological health. For example, fish can become stranded in small pockets of water when the rest of the river is dried up.  Over the centuries, most Norfolk rivers were modified to make way for agriculture and industry; rivers were straightened, drained, dredged and embanked. This land use change has led to a decline in the quality and resilience of aquatic habitats, i.e. rivers are silted, disconnected from their floodplains, and lack morphological features for wildlife. Furthermore, barriers to fish and changes to riparian habitats have also had negative impacts.